Animal cell culture is an important laboratory technique in the biological and medical sciences. It has become an essential tool for the study of most biochemical and physiological processes and the use of large-scale animal cell culture has become increasingly important to the commercial production of specific compounds for the pharmaceutical industry. This book describes the basic requirements for establishing and maintaining cell cultures both in the laboratory and in large-scale operations. 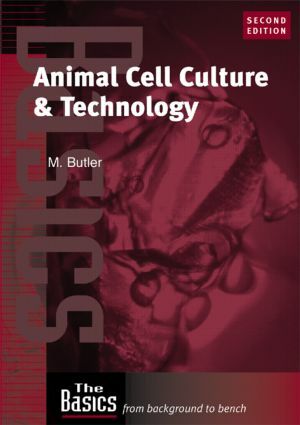 Minimal background knowledge of the subject is assumed and therefore it will be a readable introduction to animal cell culture for undergraduates, graduates and experienced researchers. Reflecting the latest developments and trends in the field, the new topics include the latest theory of the biological clock of cell lines, the development of improved serum-free media formulations, the increased understanding of the importance and control of protein glycosylation, and the humanization of antibodies for therapeutic use.